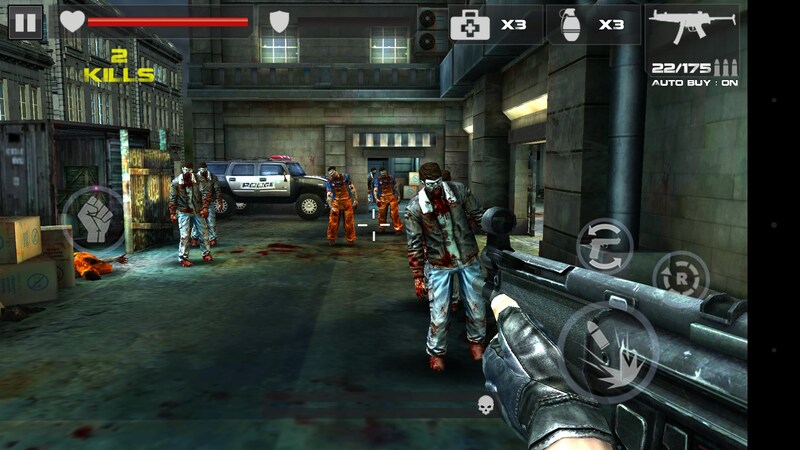 DEAD TARGET: Zombie – Games for Android 2018 – Free download. 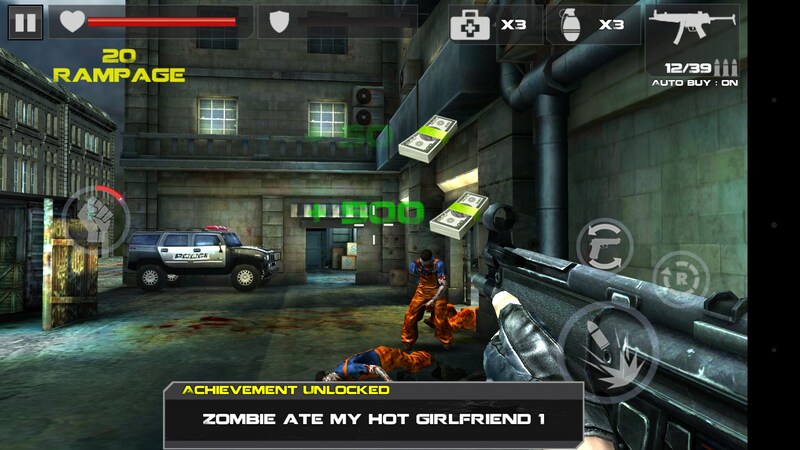 DEAD TARGET: Zombie – Another generic zombie shooter. Dead Target for Android is what happens when you make a rail-shooter on a mobile device. Rail-shooter might be a bit of an oversell, though, because you’re more static. You don’t move, you’re really just defending your position from all sides, which is challenging enough as it is. 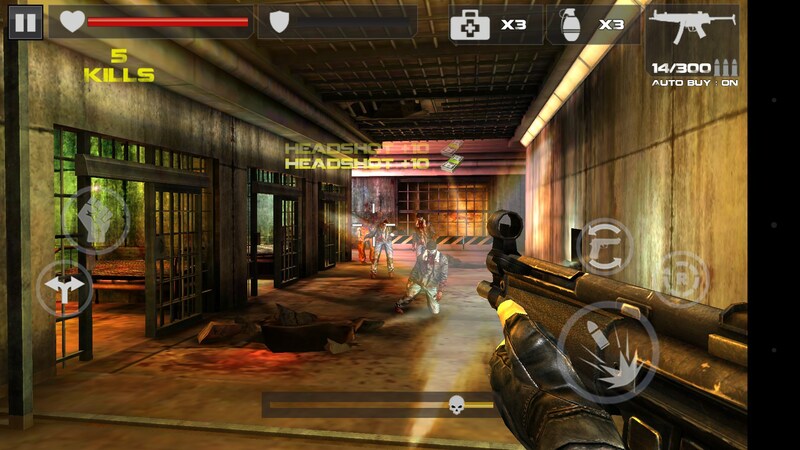 As with any shooter that has touch screen controls, it’s incredibly frustrating to aim. There is just nothing pleasant about having to use a touchscreen to aim, even though it might seem like it would be great. Unfortunately, I find myself always aiming too far in whatever direction I’m aiming for, and sometimes I’ll randomly fling around without much reason for doing so. 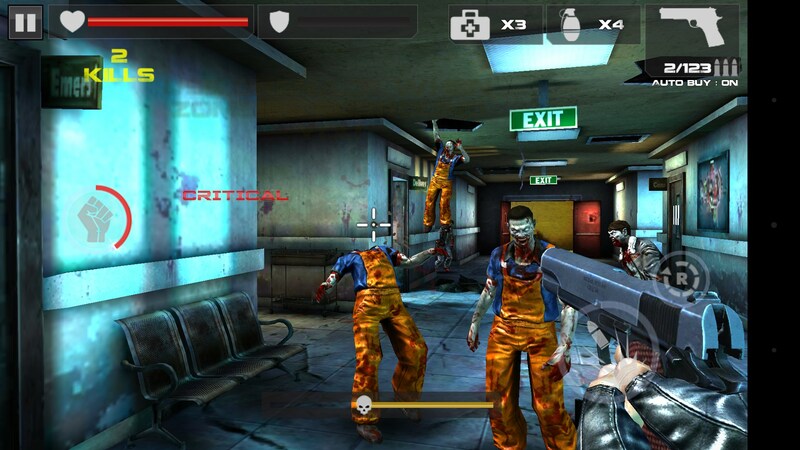 I think the fact that you’re just kind of standing around, waiting for zombies to eat you, is basically a godsend because trying to run and gun on a mobile device is just silly. That leaves me to the whole zombie trope… At this point in the game, it’s waaaayyyy overplayed. How many zombie shooters do we actually need anyway? The content is just boring and it’s something I’ve seen done a million times in other games. Often times done better, too. The game does perform well, though. I didn’t have any hitches, and even the on-screen buttons worked well. 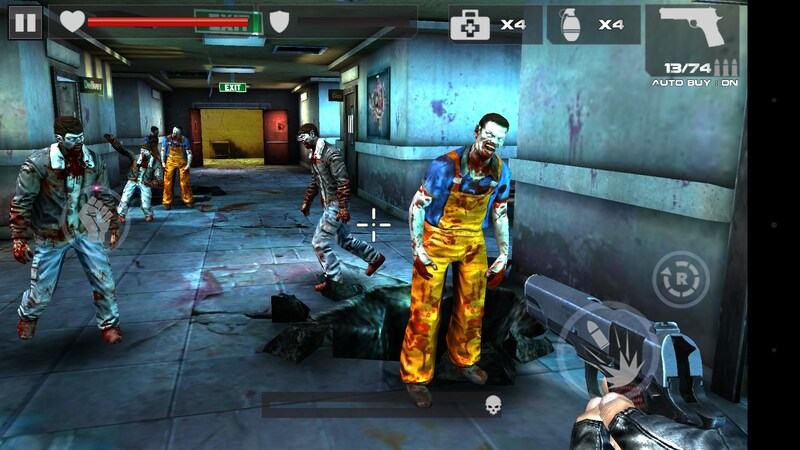 Ultimately, Dead Target: Zombie just feels like a dated game. Sure the graphics are decent, and it runs relatively well. It’s not bad, but it’s not something innovative either. The content has been seen so many times before, and it would be nice for a shooter on a mobile platform to do something to fix the awful controls usually associated with them. Unfortunately, this game just doesn’t do that. Well this Game entertains me anyway! I think dogs are cool. What type of issues are you having with it? Write a comment...This a good game,a am like you game aDead terget..my favarite game is dead terget.